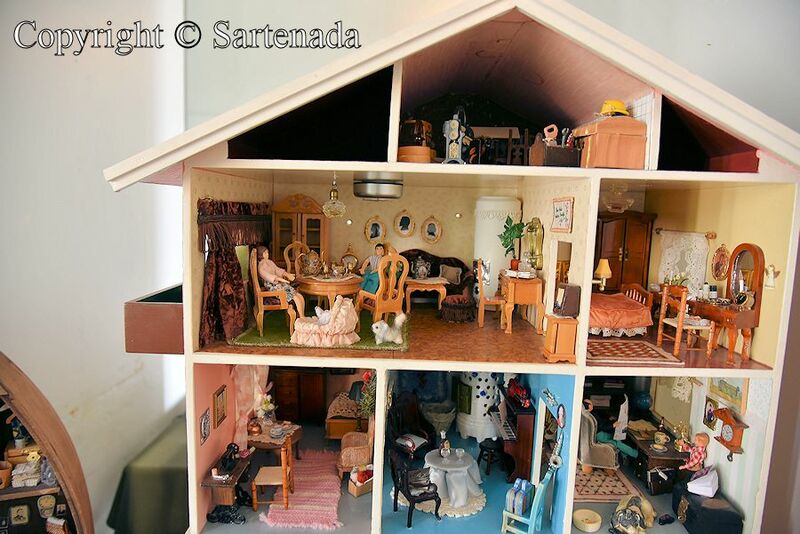 Do You remember dollhouses? 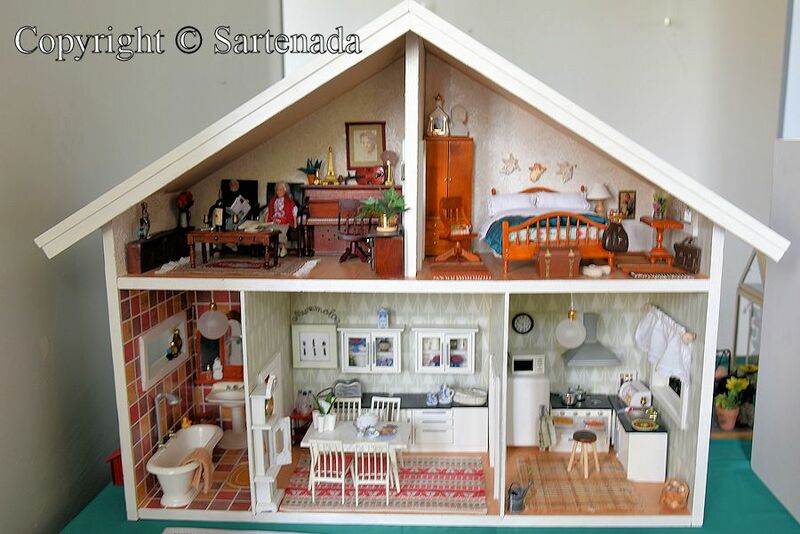 I remember the dollhouses, because my daughter had one. It was very modest, but anyway it served well my daughter. 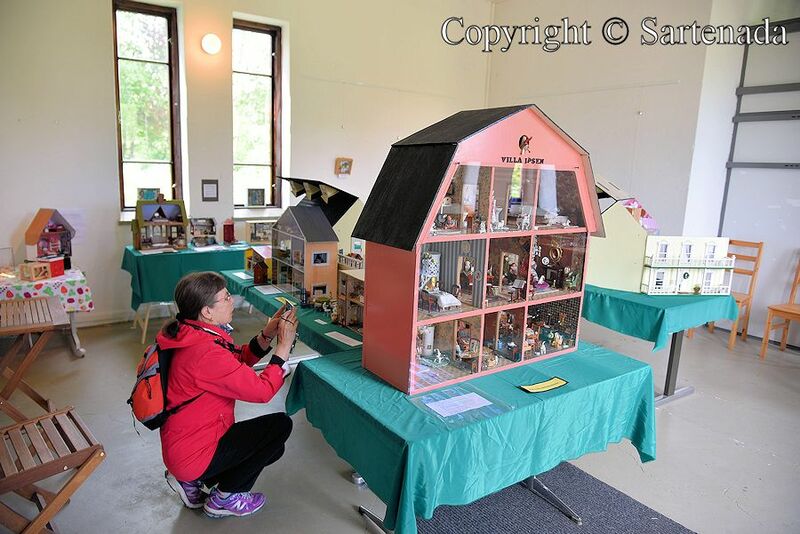 I thought that dollhouses are “gone with wind” before we visited the exhibition of dollhouses in Mikkeli, Finland. It was very refreshing to see that the young ones yet today have other hobbies than fiddle constantly with their cell phones all the time. Some fiddle with phones while watching TV! 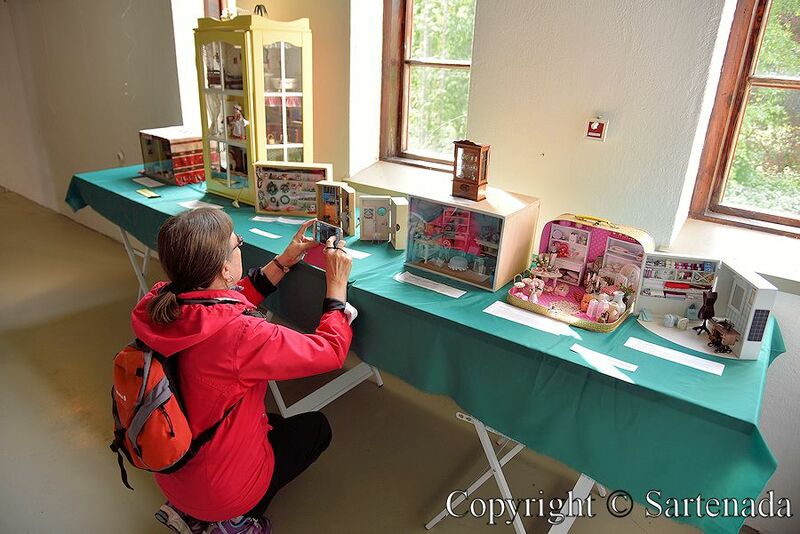 The exhibition revealed that dollhouse hobbies are not only for the young, but for many adults. My hat off, because there might be worse hobbies in our world! In this post, I show first 12 photos, which my wife took, and then my photos. 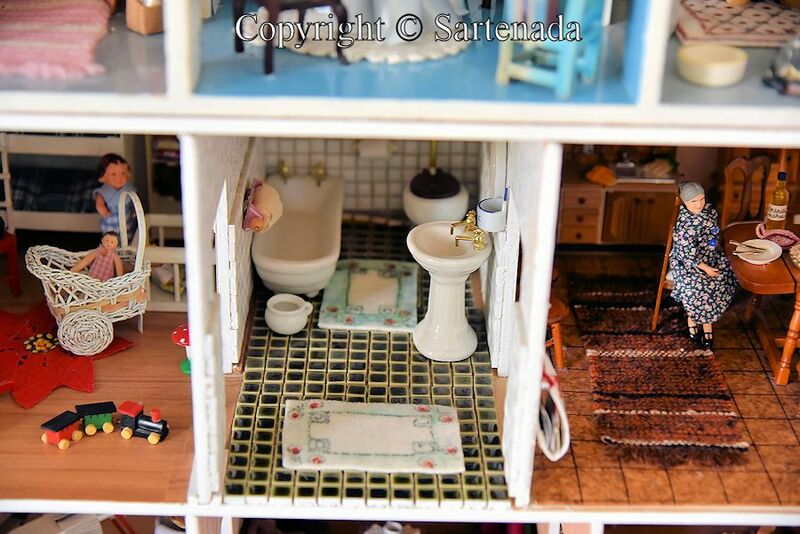 It is nearly impossible to understand how small things there are inside the dollhouses. 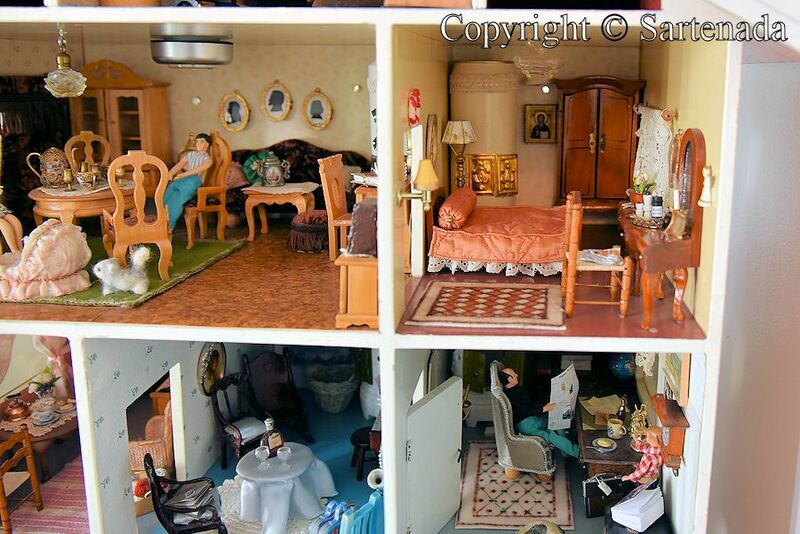 Their size can better understand when showing man beside the dollhouses. 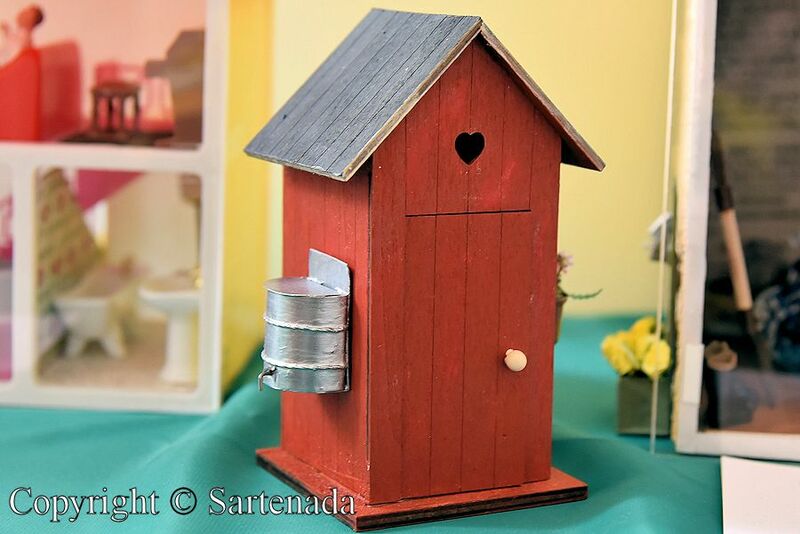 ¿Te acuerdas de casitas de muñecas? 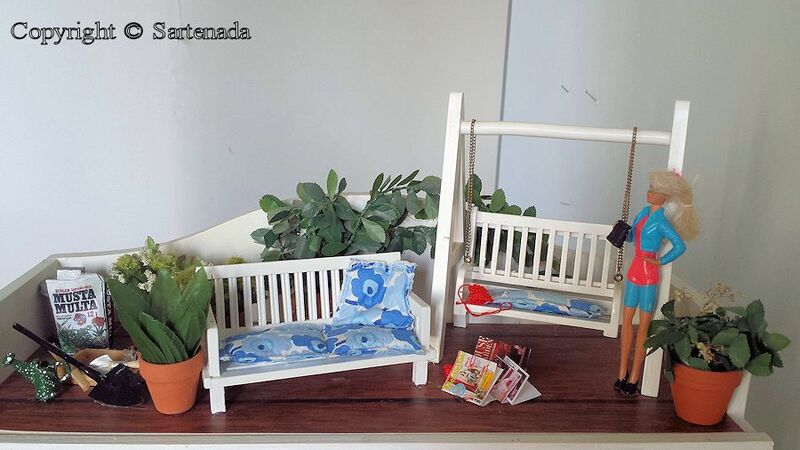 Recuerdo las casitas de muñecas, porque mi hijita tenía una. Fue muy modesta, pero de todos modos sirvió bien a mi hijita. 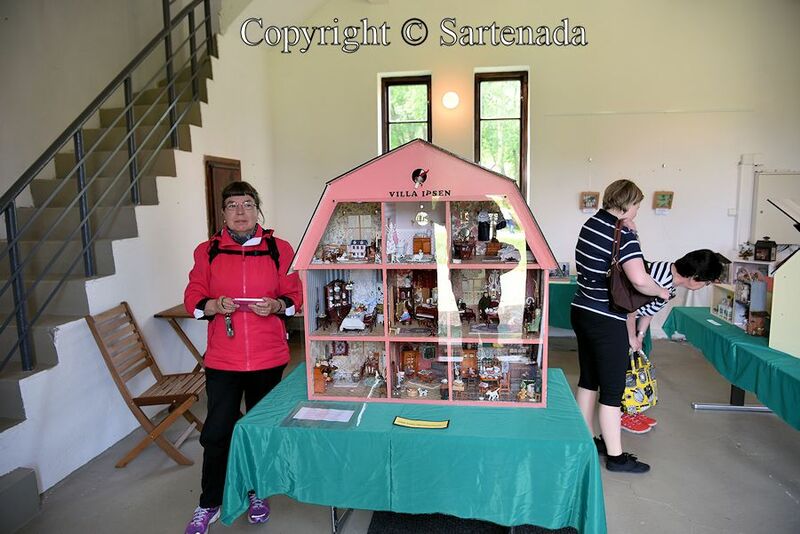 Pensé que “el viento se llevó las casitas de muñecas” antes que visitamos la exposición de casitas de muñecas en Mikkeli, Finlandia. Fue muy refrescante ver que los jóvenes de hoy todavía tienen otras aficiones de toquetear constantemente con sus teléfonos celulares todo el tiempo. ¡Algunos toquetean con los teléfonos mientras de ver la televisión! 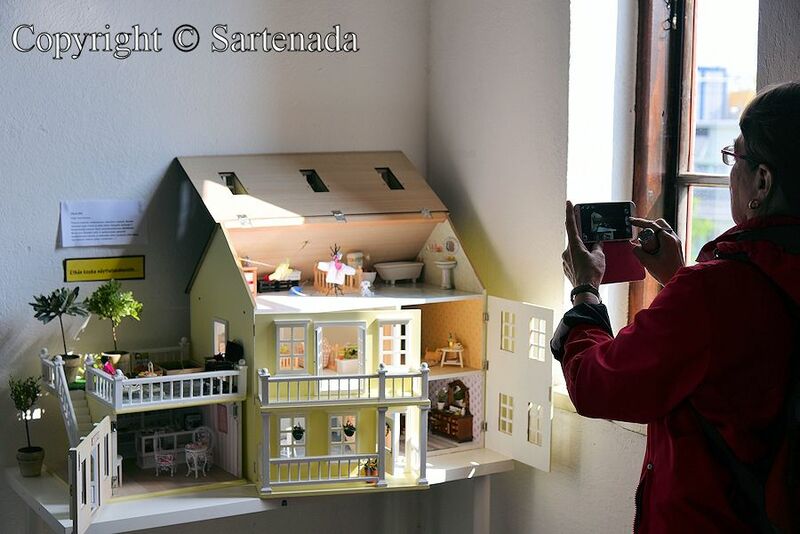 La exposición reveló que los aficionados de casitas de muñecas, no son sólo para los jóvenes, pero para muchos adultos también. ¡Mi sombrero, porque se podría ser mas peores aficiones en nuestro mundo! En este post, Vos muestro 12 primeras fotos, las que mi esposa tomó, y luego mis fotos. 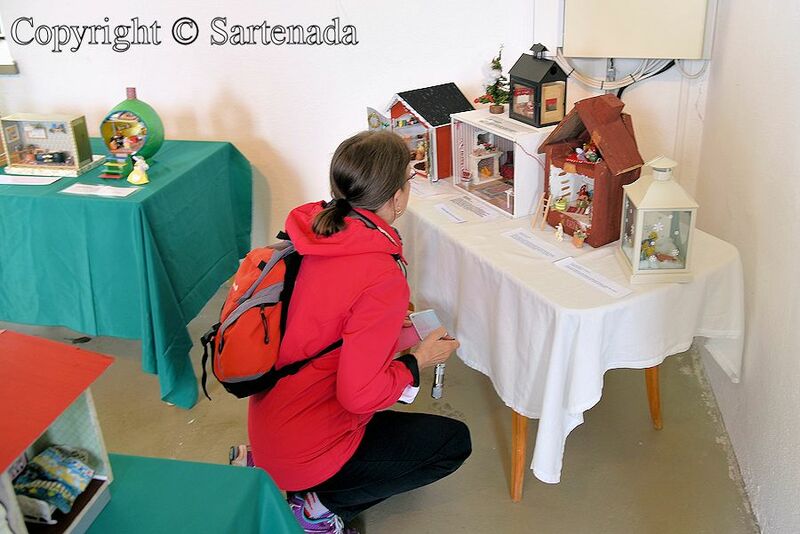 Es casi imposible entender cómo pequeñas las cosas son que son en el interior de las casas de muñecas. Sus tamaños se pueden entender mejor cuando mostrando el hombre al lado de las casitas de muñecas. Vous souvenez-vous des maisons de poupées? Je me souviens des maisons de poupée bien, parce que ma fille avait une. Elle a été très modeste, mais de toute façon elle a bien servi ma fille. 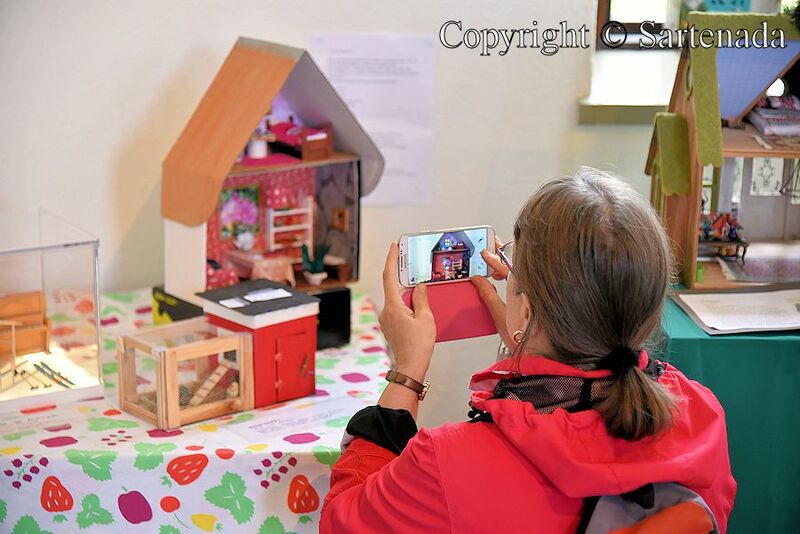 Je pensais que les maisons de poupées sont “parties avec le vent” avant que nous avons visité l’exposition de maisons de poupées à Mikkeli, en Finlande. Il était très rafraîchissant de voir que les jeunes d’aujourd’hui ont encore d’autres passe-temps que tripoter en permanence avec leurs téléphones portables tout le temps. Certains tripotent avec des téléphones tout en regardant la TV! 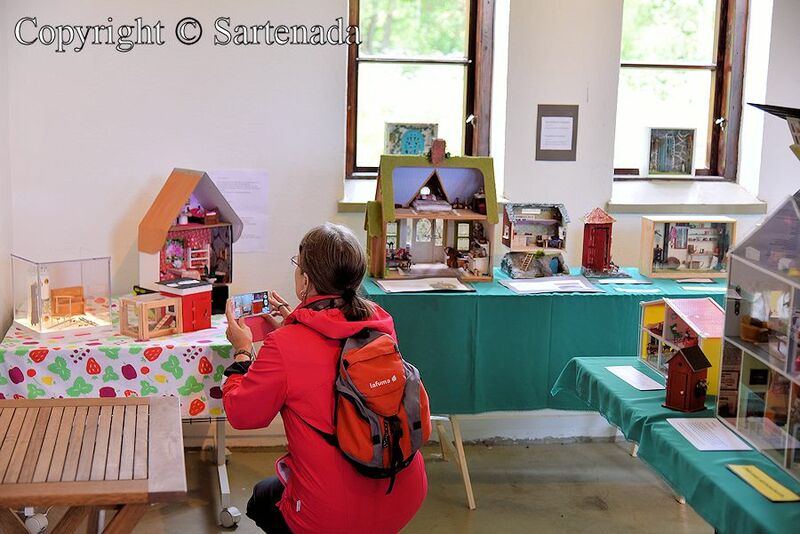 L’exposition a révélé que le passe-temps de maison de poupée ne sont pas seulement pour les jeunes, mais pour beaucoup d’adultes. Mon chapeau, car il pourrait être des pire loisirs dans notre monde! Dans ce poste, je montre premièrement 12 photos à Vous , que ma femme a pris, et ensuite mes photos.Il est presque impossible de comprendre comment petites les choses son, ce qu’il ya à l’intérieur des maisons de poupées. Leur taille on peut être mieux comprendre en montrant l’homme à côté des maisons de poupées. Oi gente, tudo bom? Você se lembra das casinhas de bonecas? Eu lembro-me das casinhas de bonecas, porque a minha filha tinha uma. Foi muito modesta, mas de qualquer forma ela serviu bem a minha filha. Eu pensei que as casinhas de bonecas são “ido com o vento” antes que visitou a exposição de casinhas de bonecas em Mikkeli, na Finlândia. Foi muito refrescante ver que os jovens ainda hoje tem outros passatempos que brincar constantemente com seus celulares o tempo todo. Alguns brincam com os telefones móveis enquanto assiste à TV! A exposição revelou que passatempos das casinhas de bonecas não são apenas para os jovens, mas para muitos adultos também. Meu chapéu, porque pode existir passatempos piores em nosso mundo! Neste post, primeiro vou mostrar pra você as 12 fotos, que minha esposa tomou, e, em seguida, as minhas fotos. É quase impossível entender como pequenas são as coisas, que são dentro das casinhas de bonecas. Seus tamanho pode entender melhor quando mostrando o homem ao lado das casinhas de bonecas. I am glad that You loved my post. Thank You commenting. 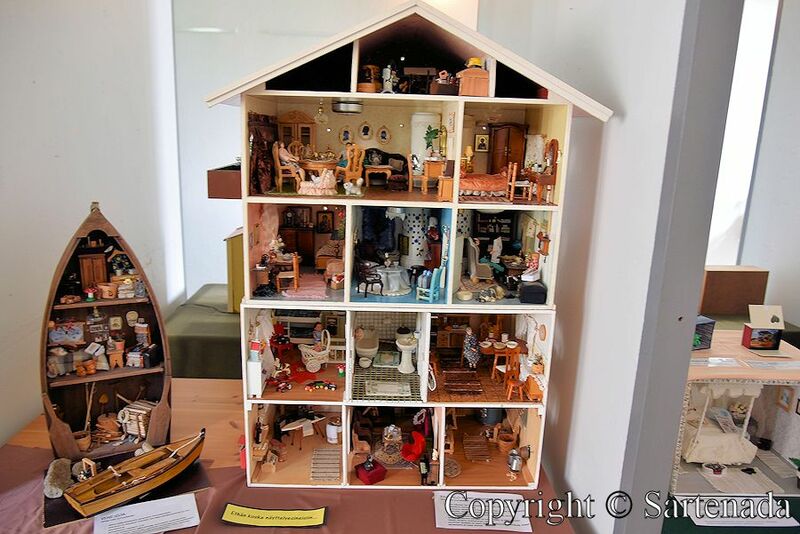 so lovely to see these lovely dolls houses. I have one that I want to do for some lucky child, I want to make it all pretty. 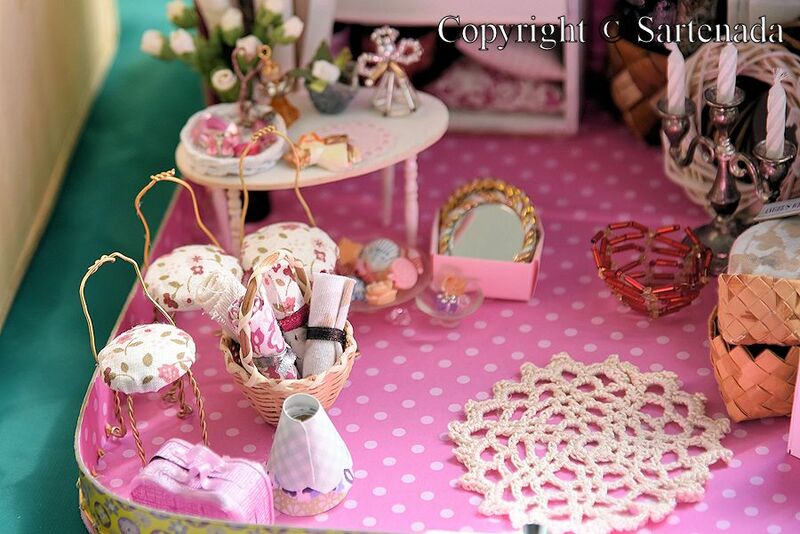 I brought it second hand and want to make it for a sick girl in hospital or going thru a hard time in her life. To bring joy to her life and her families. I was hoping to get it done before Christmas, I have started pulling it to bits to do new wallpaper and carpet etc, but am running out of time. May have to be early next year. These houses have given me inspiration. Thanks for sharing your story and photos with us. 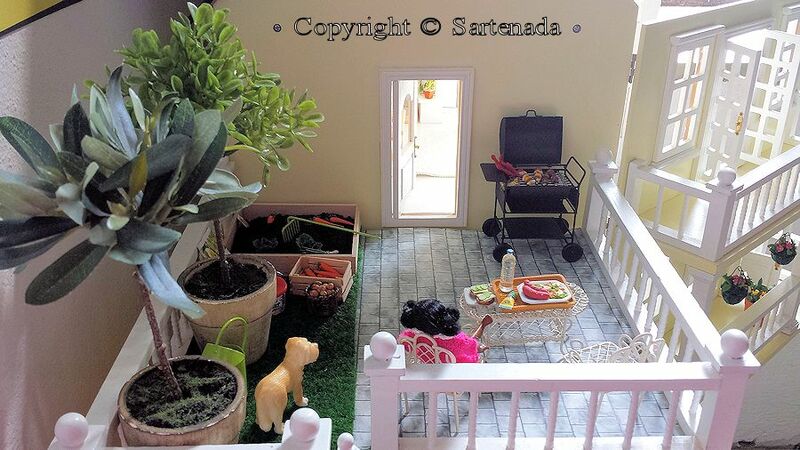 They are so much work by clever people..So cute. How nice to read that my post inspires You. Thank You for Your kind comment. Fascinating post, Matti. They bring back fond memories of my childhood long ago! Thank you for sharing them. Thank You commenting. I am glad that my post brought back Your childhood memories. 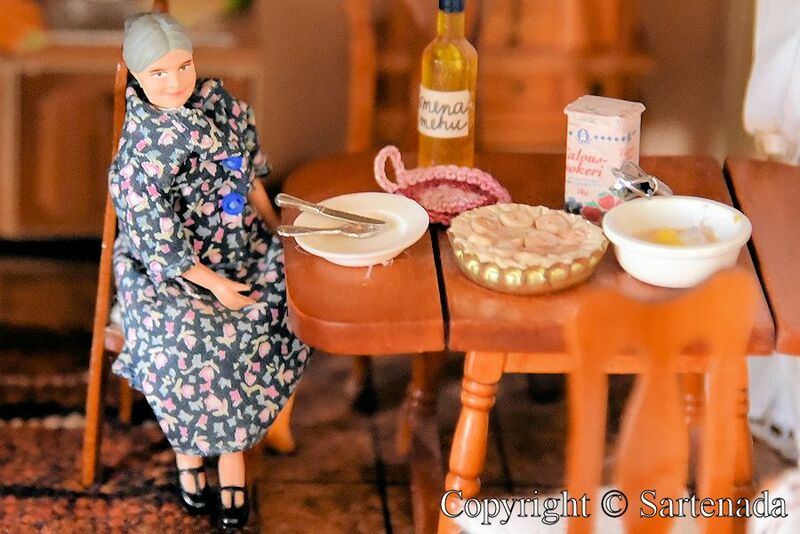 Amazing dolls houses with the tiniest details, down to the toothpaste and the cake in the oven. They took a long time to make. Great pictures, love it, thank you. Thank You commenting so nicely. You are right about those tiniest details. They are unbelievable well made. Incredible work indeed. I am glad that You loved my post. Thank You commenting. My hat is off to the creative, patient people who made these. I am glad that You loved my post and left so kind comment. Que casinhas lindas! 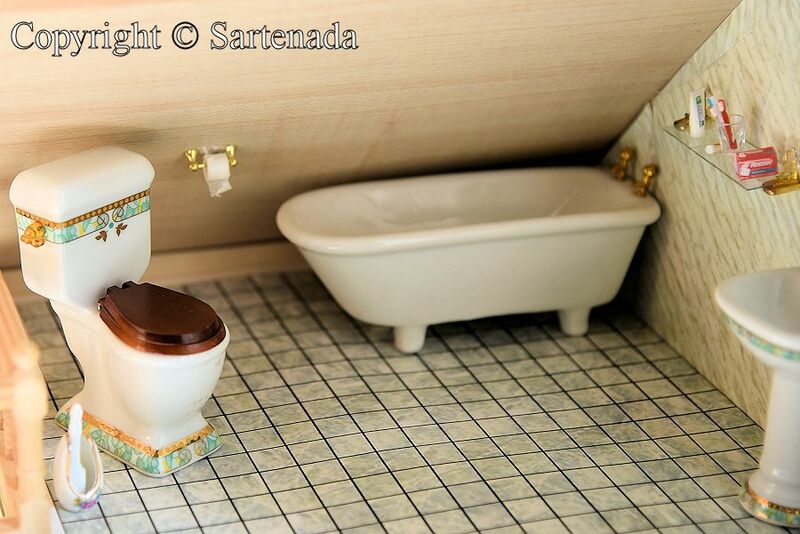 Lembrei meu tempo de criança, eu adorava brincar com bonecas e também tinha uma casinha dessas! Lindas fotos, obrigada! Você tem lindas memórias! Obrigado pelo seu comentário! Tenham uma boa semana. Abraços! Um grande beijo. How nice to read that You loved my post. Thank You. Merci de m’avoir fait un commentaire, bien que vous ayez la douleur, dans votre cœur. Mes condoléances. Mes pensées sont avec vous. Matti. 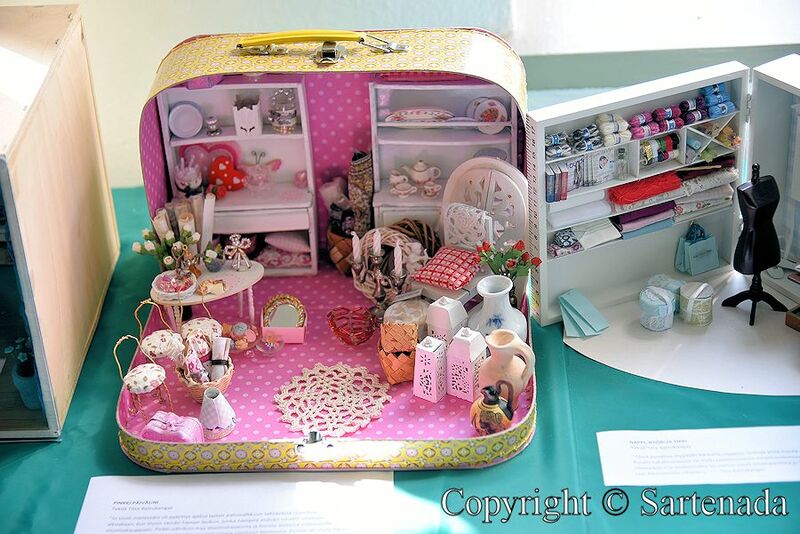 It is a dollhouse of fine make. Once I would like to look at the real thing. Thanks to that I was able to see the great ones. I am really glad, that You loved our photos. Thy are gorgeous when seeing them live, so many details to be studied. You have had dollhouse – how nice to read it. Thank You commenting. I love Your comment, because we have same kind of experiences may years ago. 🙂 Thank You. These are wonderful! We kept our daughter’s dollhouse and now the next generation is loving it! Yes, it was nice to read that next generation also loves dollhouses. My son had huge collection of toy cars. I took them later in our attic. When my grandson grew up, then I gave them to my son, who gave them to his son. Now they wait for next generation. 🙂 Thank You commenting. 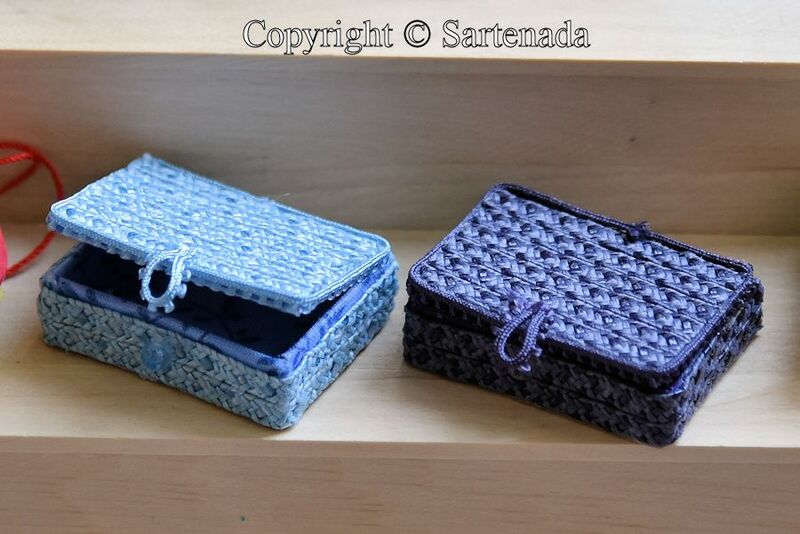 These are exquisite designs! I admire the traditions 🙂 Beautiful photos, as always. How nice to read Your comment and to know that You love them. Thank You. 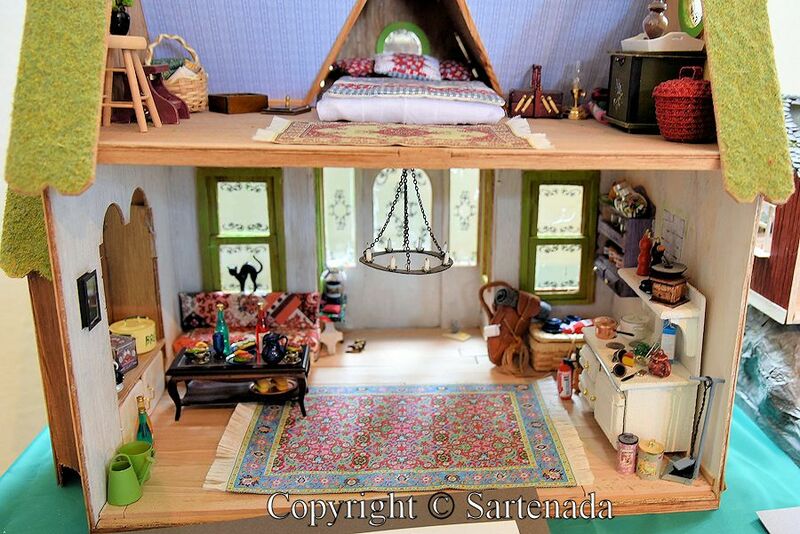 These dollhouses are wonderful! I started to think I would choose a favorite, but it was impossible, because every one of them has something extra special. 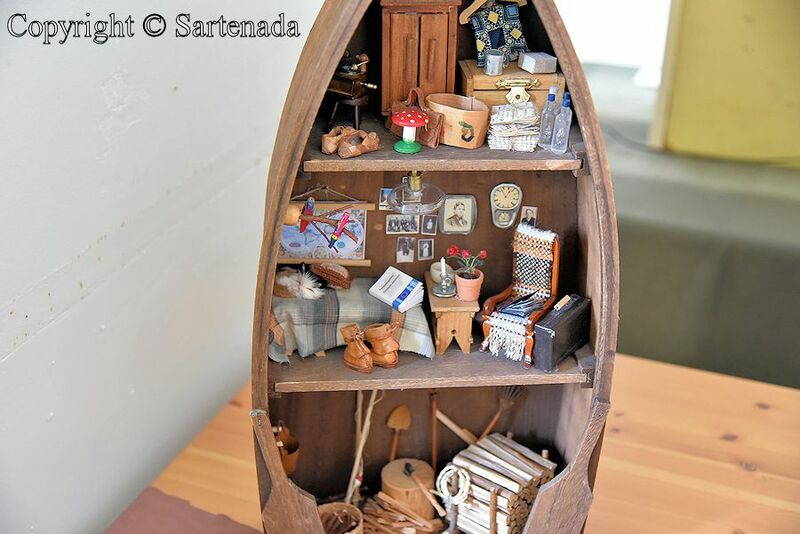 I love the one in the stand up boat and the yarn/sewing shop, It’s amazing that people can find these tiny tiny items with which to build, furnish, and decorate! 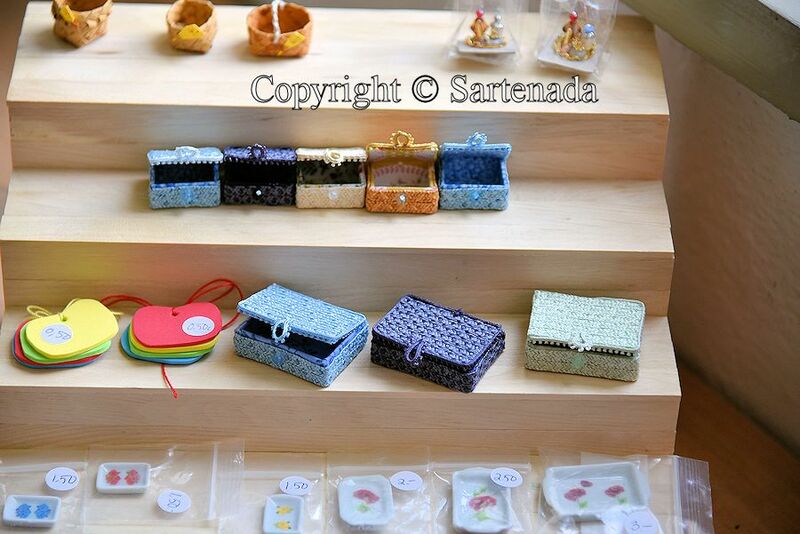 It’s a great hobby, and I’m glad there was an exhibition so many people could enjoy seeing other’s creations. Thanks. Although I am man, I found this exhibition very interesting. Thank You commenting. I enjoyed to see these wonderful works. I am glad that You enjoyed my post. Thank You! C’est un vrai monde féerique toute ces tites maisons de poupées. Elles sont très belles tes photos. Merci pour le partage. Je suis ravi que mes photos vous plaisent. Merci pour la remarque si gentil. 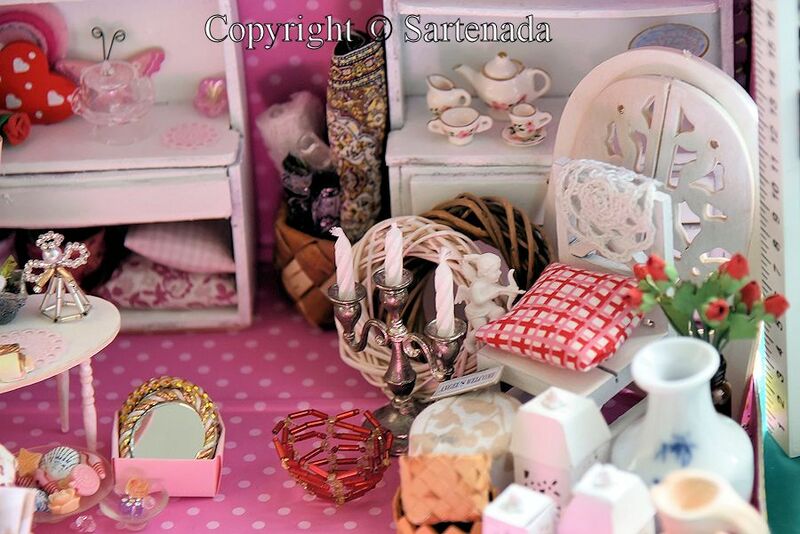 How nice to read that You have made a dollhouse. 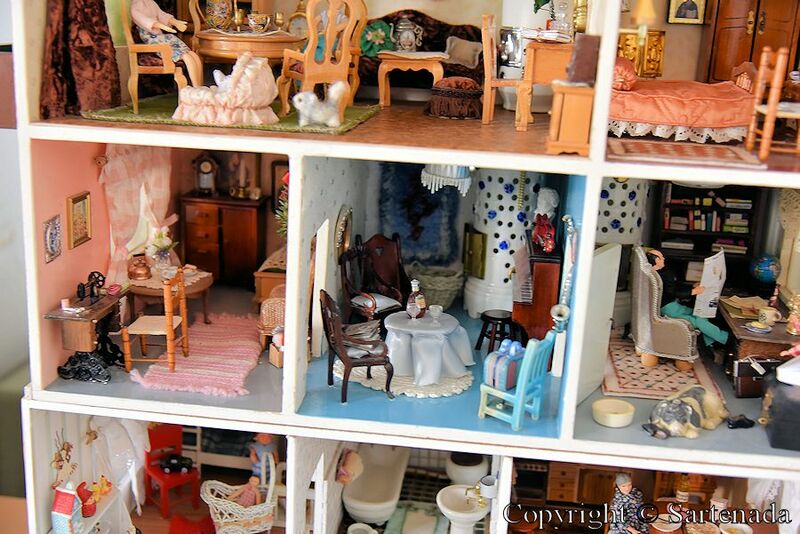 According to previous comments, there are yet dollhouse, people have memories about them and some keep them for next generation. That’s cool. Thank You. I think it would be a great idea to organize more such wonderful exhibitions! I spent a rather long time looking at the interior and the furnishings which are gorgeous! 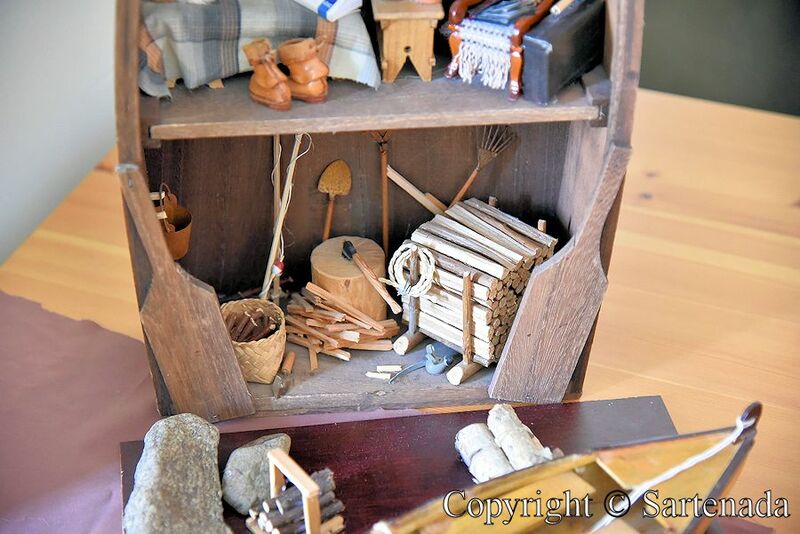 In your introduction you already mentioned that they would be tiny, but it’s really fantastic to see how small parts have been included and how little copies of original furnitures or features have been created. I really admire not only the fantasy but also the artistic skills to work with all these different materials and to produce all parts in miniature form. 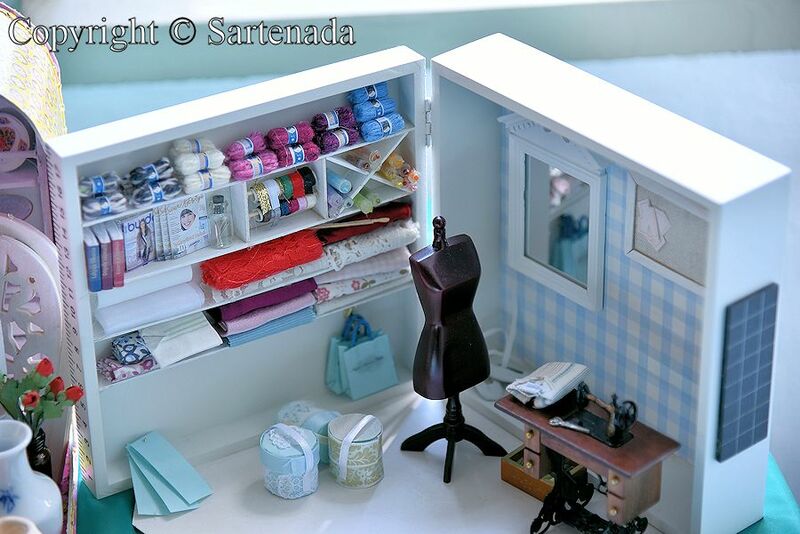 When I was a child I also had a self-made dollhouse. Modest and simple but made with love. At that time my parents built a real house and so I could obtain a lot of material but – as you can imagine – it was often way too large! You had to work hard to get it smaller and sometimes I really preferred to paint an own design at the walls instead of using leftovers of our own real wallpapers. Their patterns were too big! But here a bit of a carpet, there small pieces of curtains. No wood, cardboard or even tiles were secure any more. 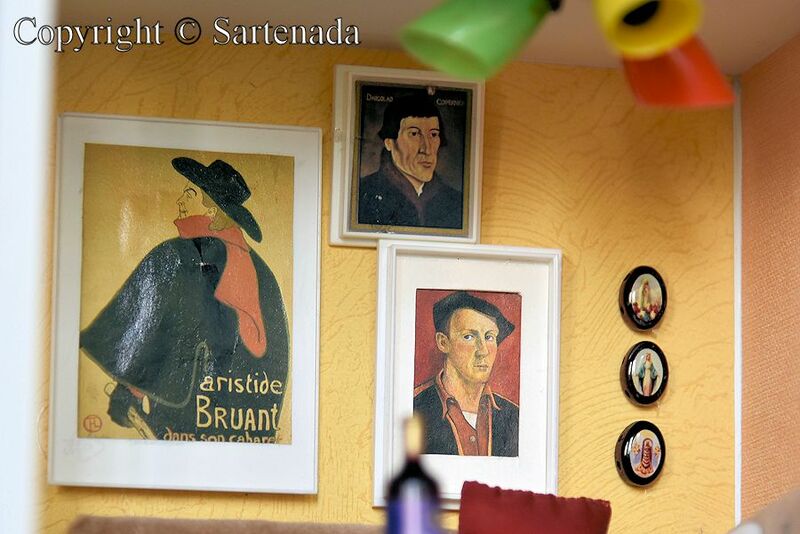 When I had a close look at your photos (and at those made by your wife Anja), I discovered some favourites. I really like the rooms with musical instruments (the grand piano!) 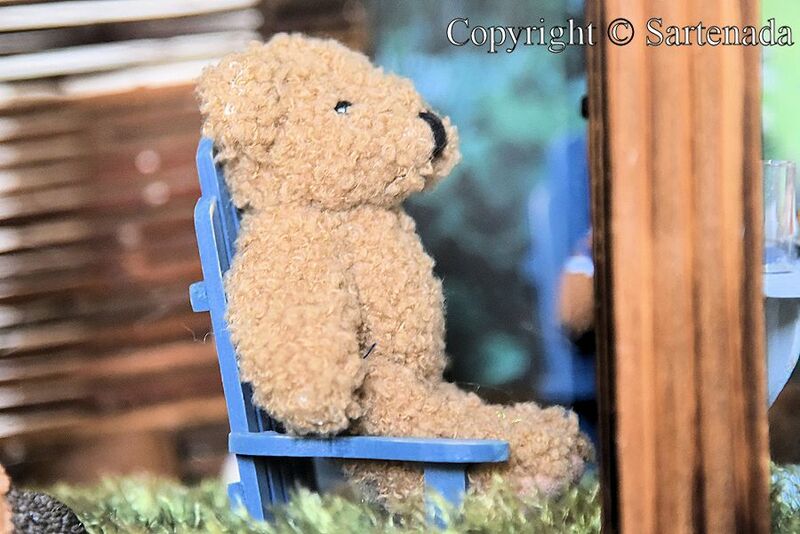 and smiled when I saw the bear sitting in the winter garden! 🙂 So much to discover! And what I also like is to see that some people used real plants for decoration. Not so easy to find flowers which stay tiny! Great post again! Thank you very much for your efforts when taking all this photos! We love this exhibition very much and I am glad that my post pleased to You. 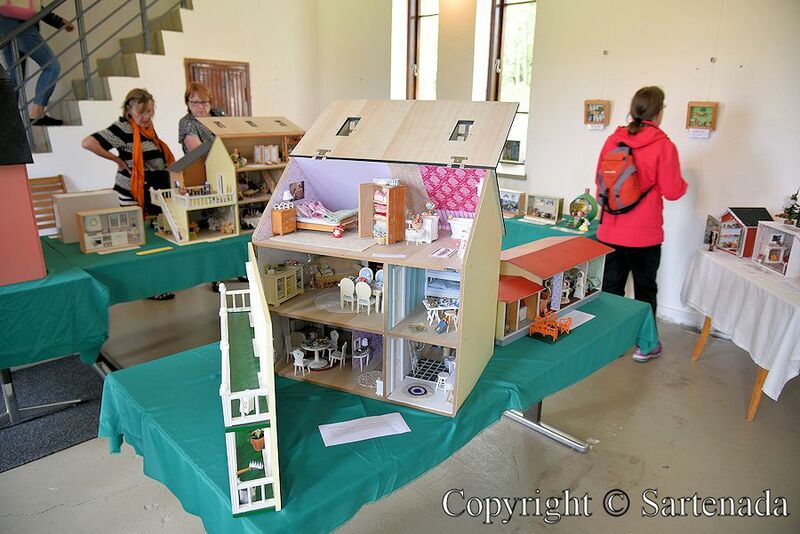 We did not knew that yet today there are dollhouse hobbyists. Thank You for Your kind comment. Une sacrée collection, qui réveille de vieux souvenirs ! Tes visites sur mon blog sont toujours un plaisir pour moi. Quelle grande joie de lire votre commentaire Marion. Merci. Je te souhaite une agréable journée! Bisous. So many are extravagant and intricate. My hat is off to those who had the patience to make them. I remember making several when my daughter was a child. Good memories! 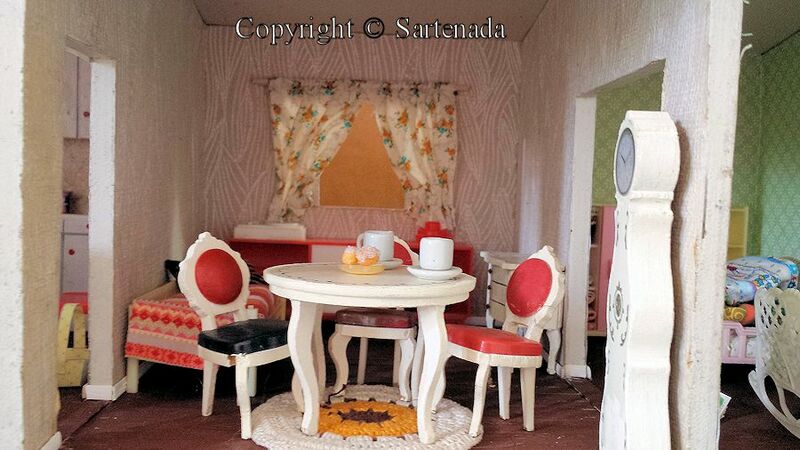 So, You have also memories of dollhouses. How nice to read it. Thank You. Thank You. I hope that there will be same kind exhibition for Your daughter where You live. The details are just amazing. 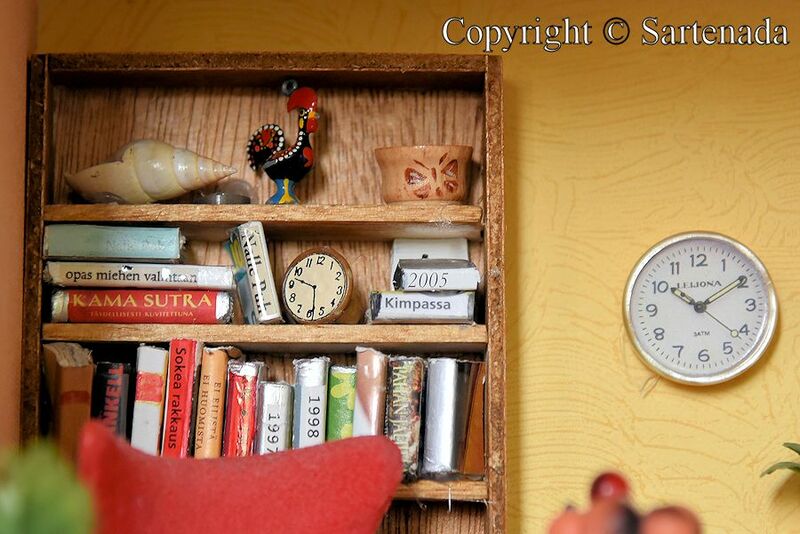 I especially enjoyed the details on the plates and the books on the book shelves. Incredible and such delicate placement. Very nice to read that You did found something interesting to You also. Yes, they are indeed. Thank You very much commenting so nicely. Thank You loving my photos and commenting. You too have a wonderful day! Ti ringrazio per il commento! Sono contento che hai amato le mie foto. 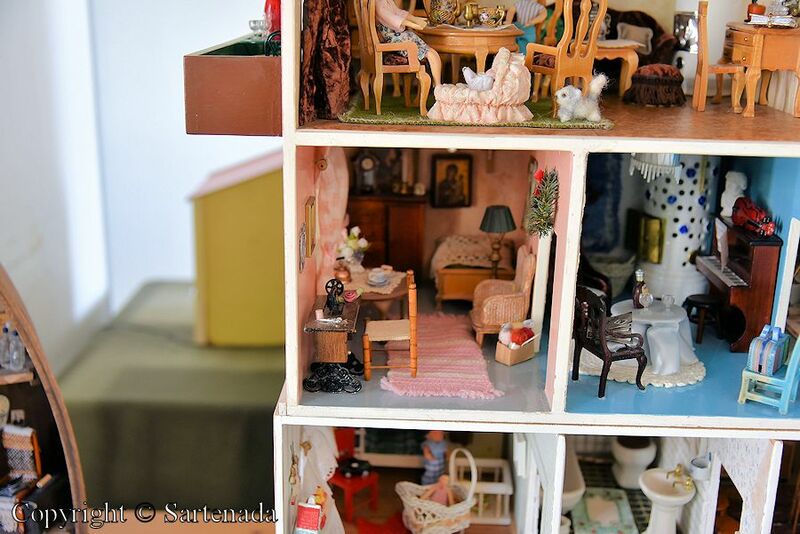 How nice to read that You love dollhouses. They are fascinating and inspire mind. Thank You for Your kind comment. 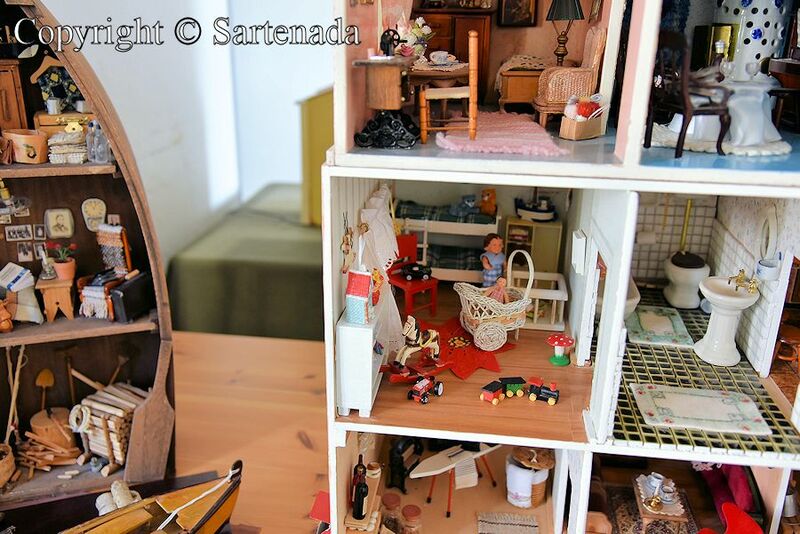 Wow – some of these dollhouses are wonderful and I can understand why adults want to play with them! You have some great photos here especially the lose-ups. I am glad that You loved my post and praised my photos. It’s Grate & sensitive ! I think I take many picture here. 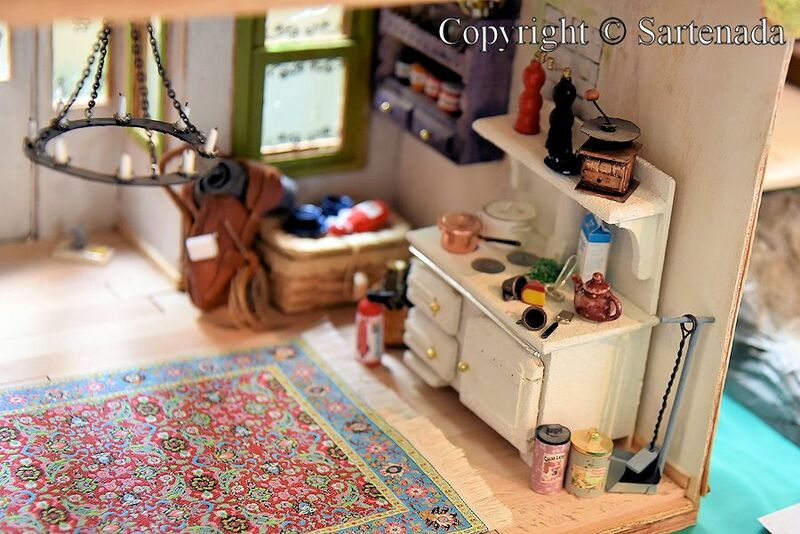 It is definitely an amazing skill to make things in miniature. How delicate ! You are right. I am glad that You like my photos. This post is one of my personal favorite post. Thank You. 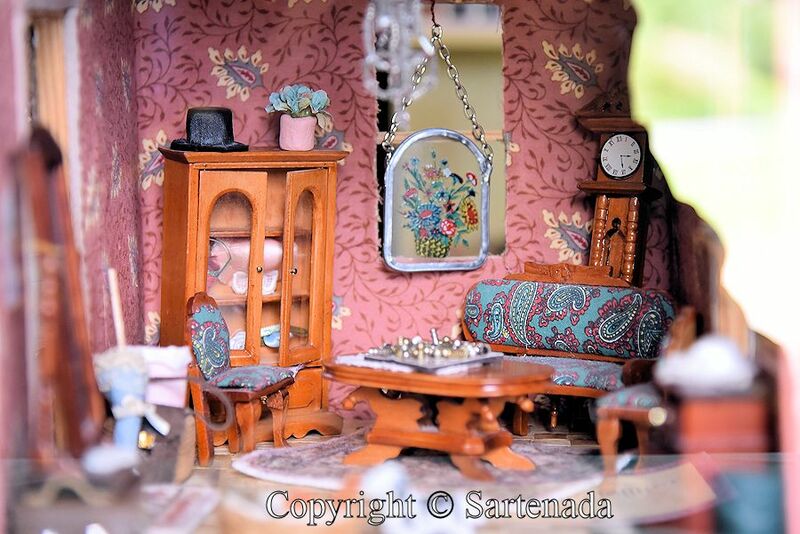 I remember one of my friend’s sister having a pretty intricate dollhouse, the detail in every room was something else. Nice post. You have nice memories of Your friend’s sister. Thank You commenting. Have a great start of new week. 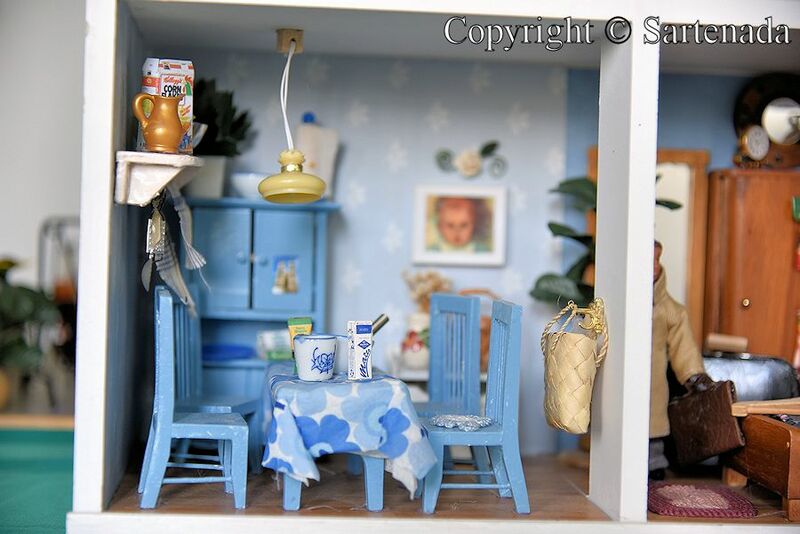 I love dollhouses too! I still have the one we got for our 2 daughters but am going to let my 2 little granddaughters have it soon. Then we can start collecting new pieces of furniture for it. I love all the miniature things that you can get to put inside the houses! Lovely photos! Sound so great. 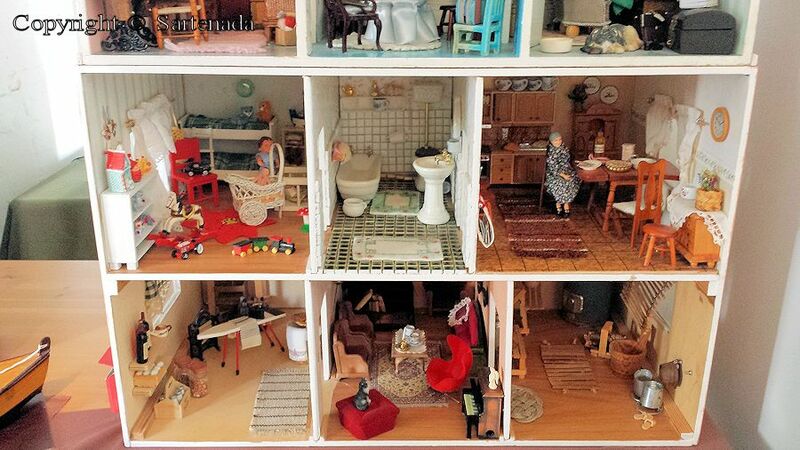 I am glad that different generations will know dollhouses. Thank You for Your praising comment. 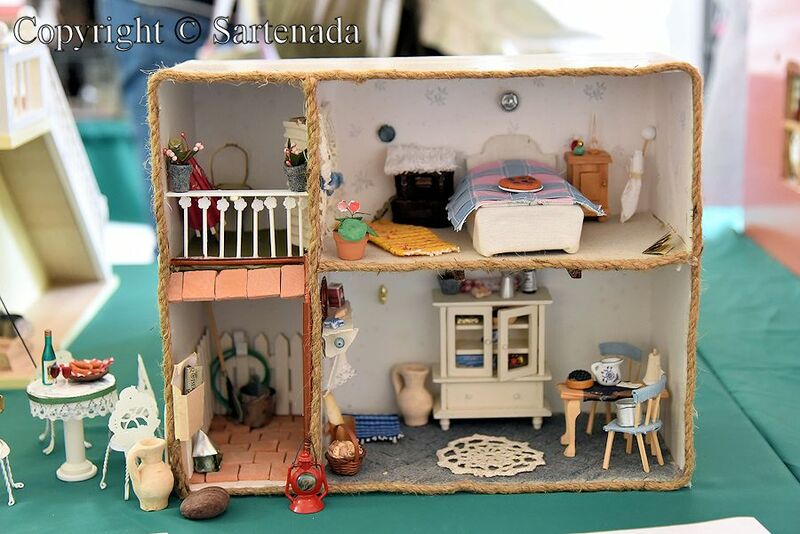 It will be what a wonderful doll’s house! I come out to ballet “The Nutcracker”. 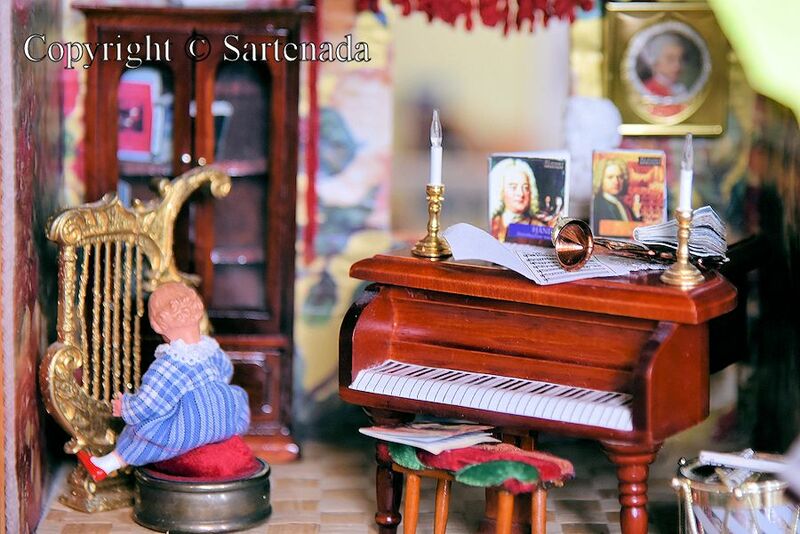 The daughter loved “Sylvanian Families”, and she played for a long time. 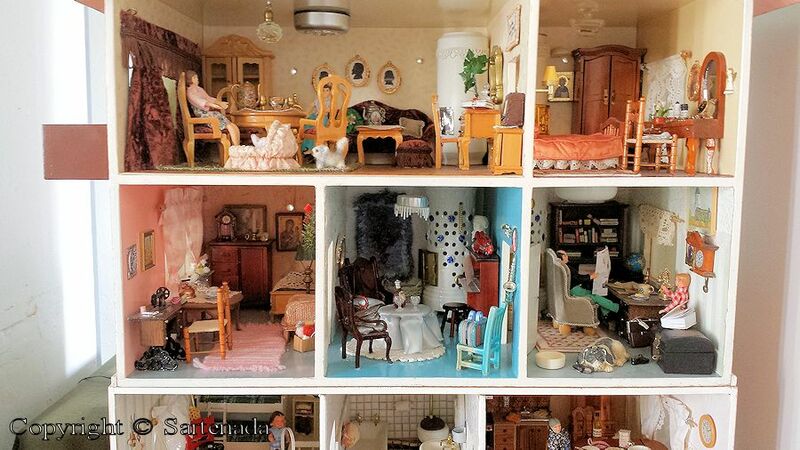 I love a doll’s house, too. Thank You commenting. I am happy that You have visited Nutcracker. We have seen it also and we love it. 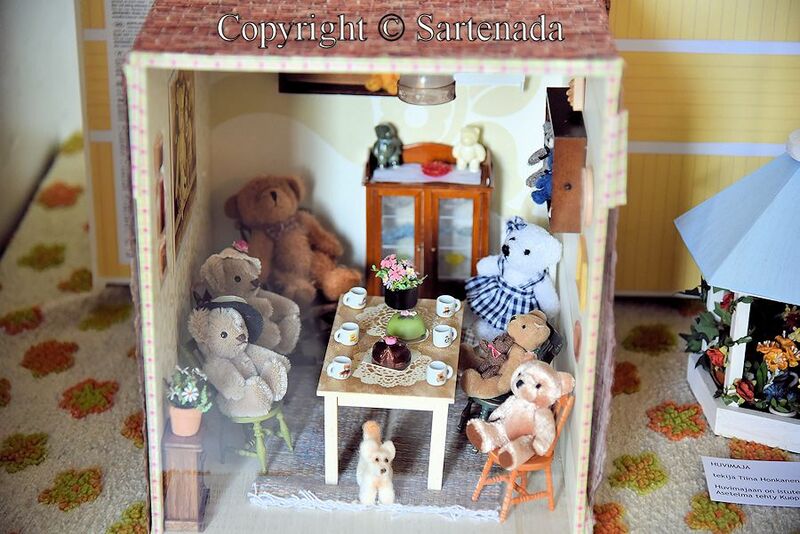 Sylvanian families are unknown toys to me, but when seeing photos, I find them very nice. 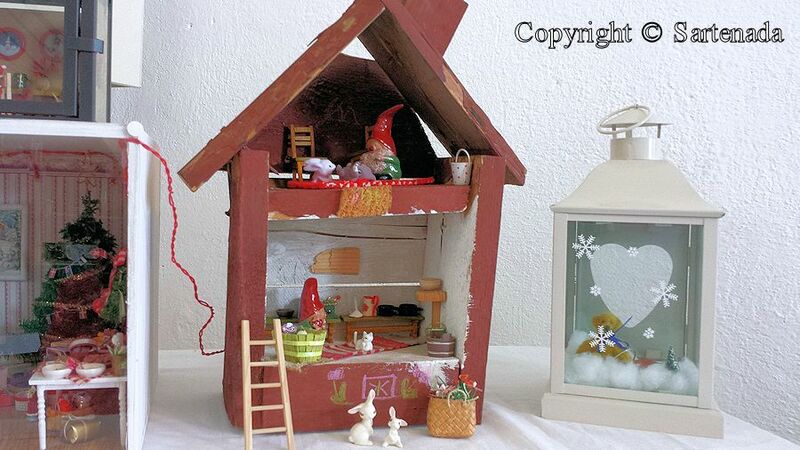 Thank You commenting my dollhouse post. Shooting photos was not finally easy. J’aime votre parole! Merci beaucoup. Vielen Dank für Ihre freundlichen Kommentar .I wünsche ihnen einen schönen Mittwoch! 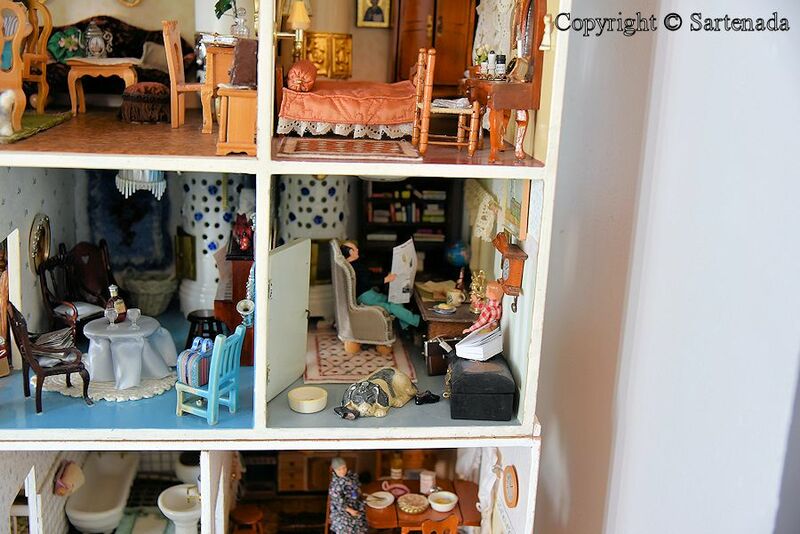 These doll houses are fantastic!! 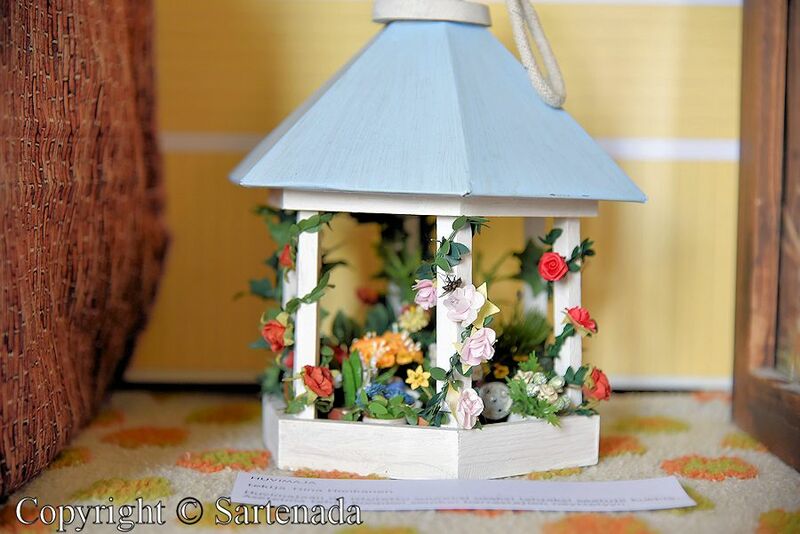 I love the small intricate details you have captured so perfectly! My granddaughter (5 y.) plays with her doll house every day. Thank You praising my photos. 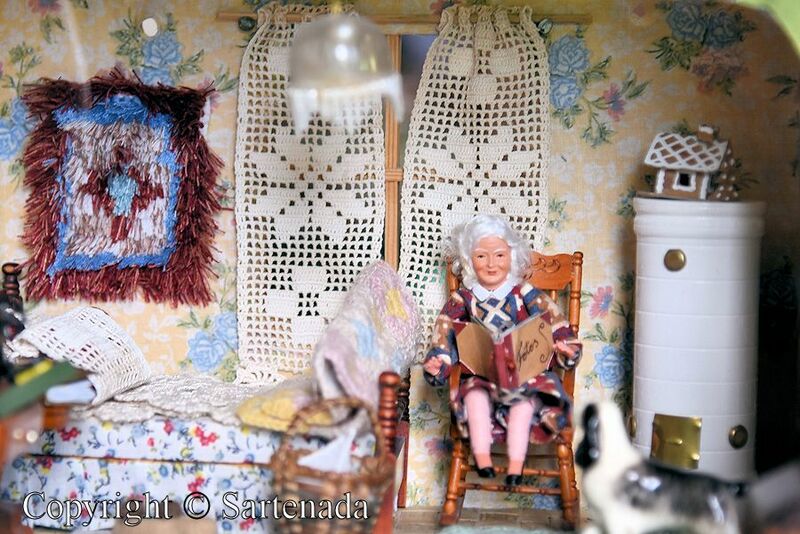 I am very glad that Your granddaughter has her own dollhouse. Made me want to go out and buy one! So cute! And it keeps you young! Wow, that is nice compliment. Thank You. Oh, so nice comment. Thank You. Hello. Happy Sunday to you and yours. Nice comment Meg. I am glad that You loved my photos. Thank You. 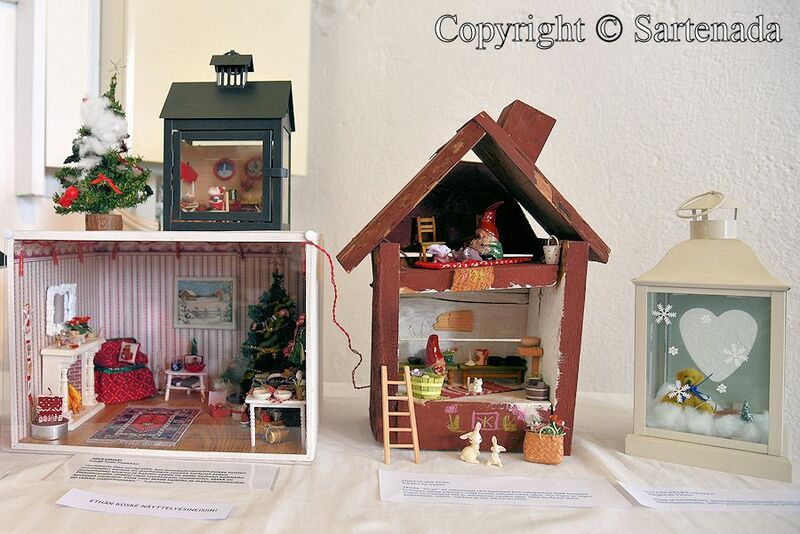 What a collection of doll houses. So inviting. I like your gallery. Thanks for your blog visits and nice words. 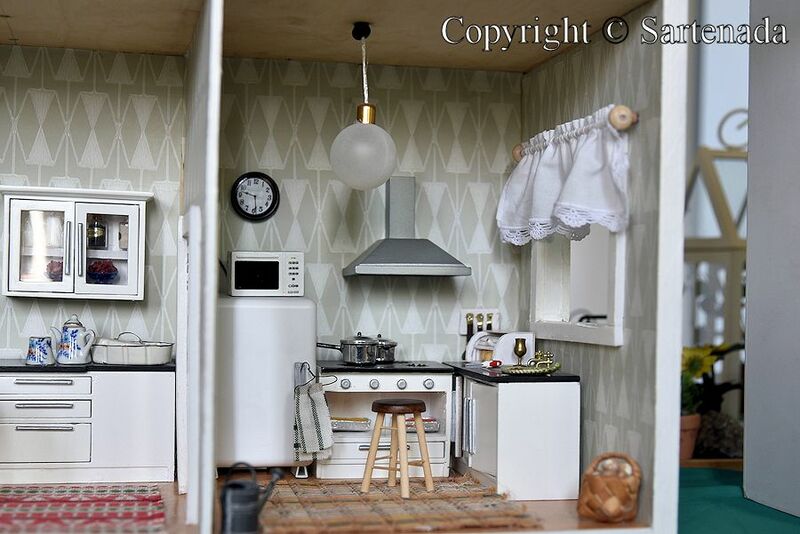 Oh wow, I adore dollhouses. Especially when they have lights inside 💖 Lovely photos indeed! I am glad that you loved my photos. Thank you commenting so nicely. 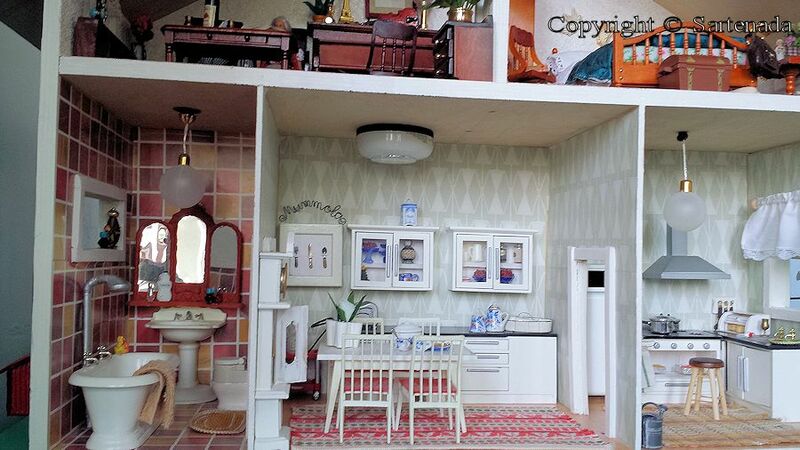 How nice to read that You love dollhouses! Thank You leaving your comment. 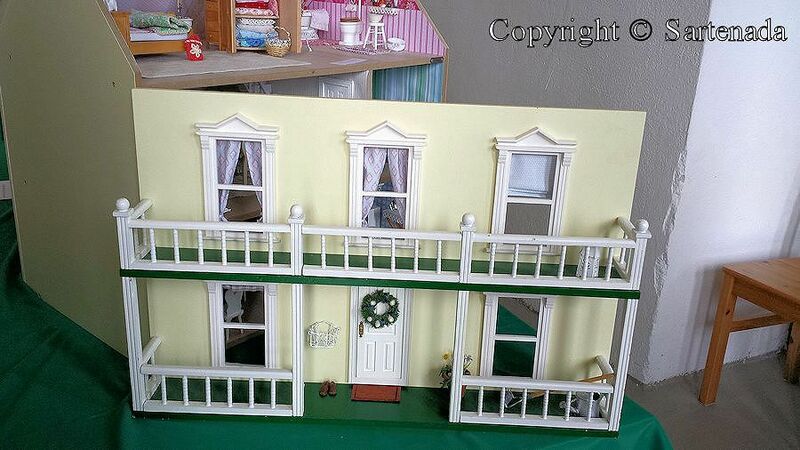 I had two doll’s houses, but nothing so grand as these! And then I had two sons so there was no call for another, but I’m hoping eventually there will be a granddaughter and I can start up again! 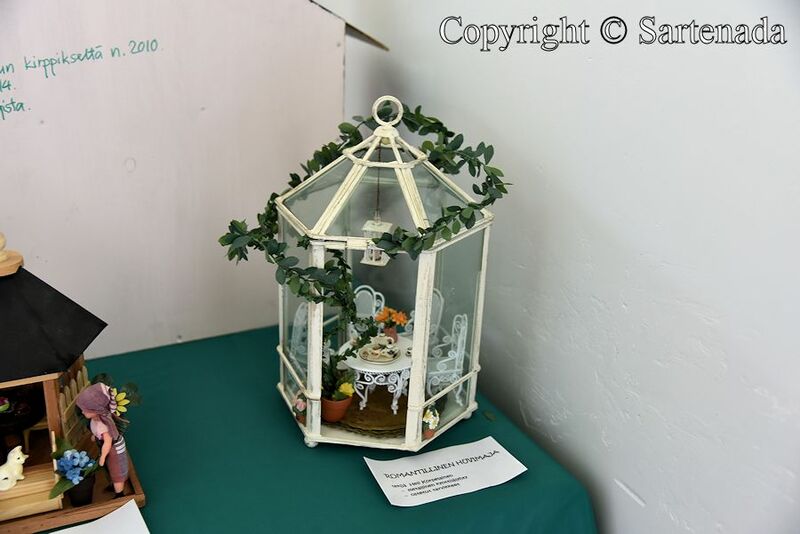 🙂 My favourite of all these is the little conservatory inside the lantern! Very nice to read Your kind commment Janice. Let’s hope that someday… Matti. 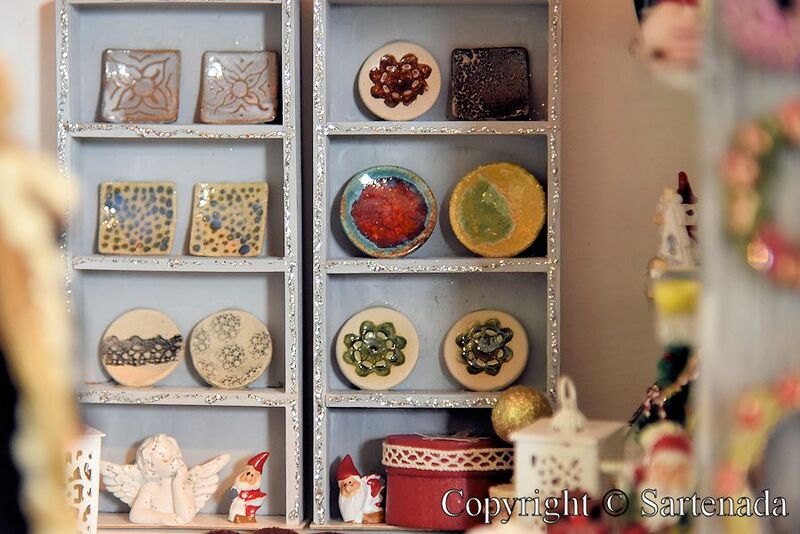 Lovely photos, I enjoyed browsing through the shop. 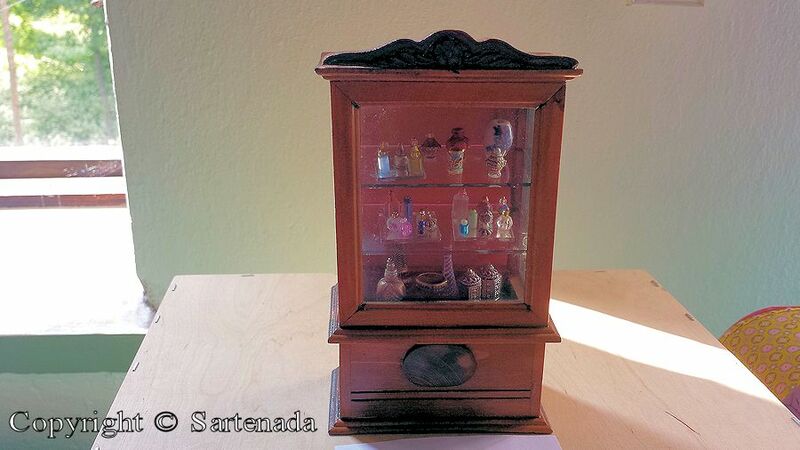 I love miniatures too and have a small collection. How glad I am when reading Your kind comment concerning this post. Thank You. What a post! 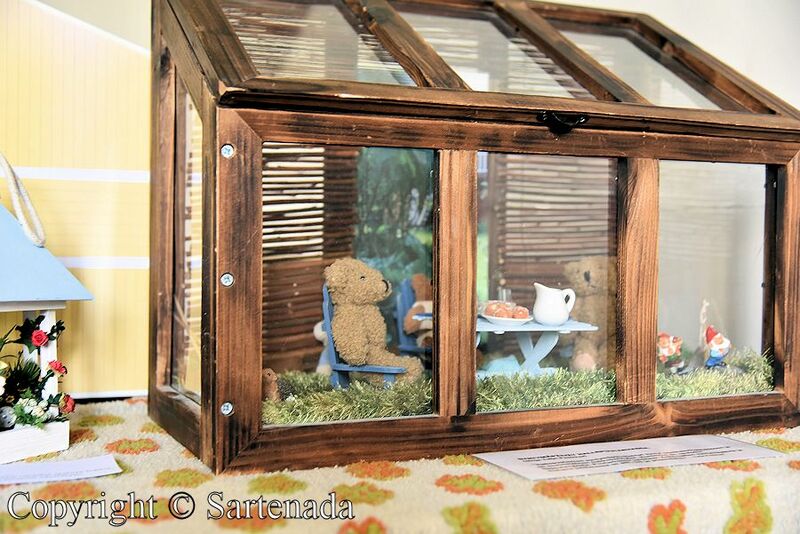 I keep a dollhouse for my grandchildren and they love to play when they visit. I love all the little things. 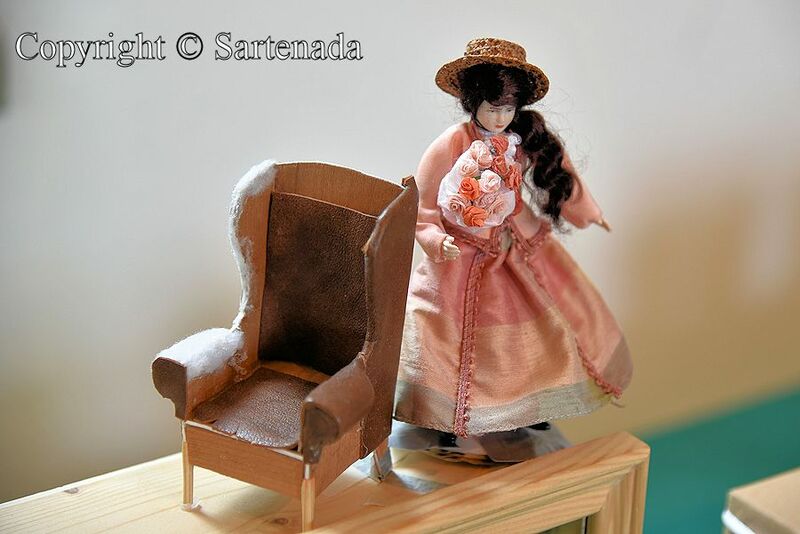 Thanks for sharing your post of dollhouses. 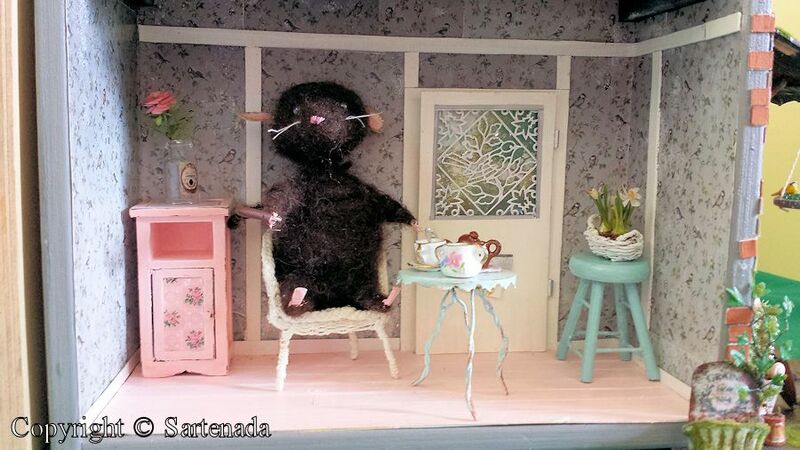 How glad I am when You told that You love these dollhouses. Thank You. 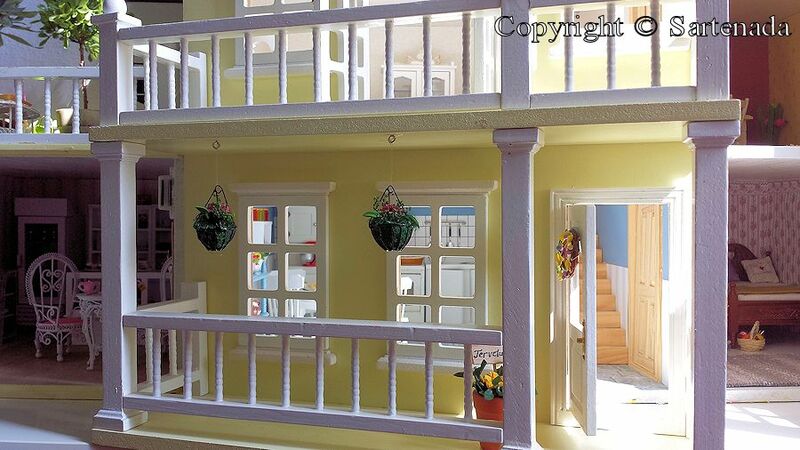 Yes the dollhouses are wonderful. Childhood is so short. Have a good weekend and I’m glad to see your photos.